For a physician to die by suicide, multiple stressors must converge and weigh on the mind until the load seems unbearable. If the arc of medical professional suicide is to be bent towards a brighter horizon, real improvements in prevention and treatment utilization must be made. One physician dies by suicide each day in the United States, equating to roughly two graduating classes of medical students lost per year.1 Male physicians take their lives at a slightly higher rate compared to nonphysicians, but the rate for female physicians is more than double the rate of their nonphysician counterparts.2 Although physician suicide has become a disturbingly common occurrence, accounts of these tragedies are described as “unexpected” or “shocking.” Such was the case recently in central Florida, when a senior anesthesiologist took his life by his own hand. As word traveled through the hospital corridors, an entire health care community found themselves in disbelief. 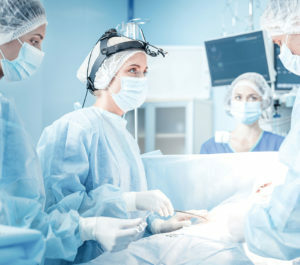 By specialty, anesthesiologists were second only to surgeons in number of deaths by suicide, according to a registry of data gathered between 2012 and 2018.3 However, when correcting for the number of active physicians per specialty, anesthesiologists were twice as likely to die by suicide when compared to other physicians.3 It is time for all anesthesia professionals to manage our own safety just as passionately as we defend the safety of our patients. Physician suicide occurs in the presence of unaddressed risk factors or when multiple risk factors are present. As in the general population, mood disorders and substance abuse are the most common major risk factors in physicians who commit suicide.4 For example, a postmortem psychological report in a small cohort of physicians who completed suicide identified that two-thirds suffered from either depression or alcohol abuse.5 Risk of experiencing depression permeates all stages of careers in medicine, including medical school and residency. In fact, medical students and residents are at higher risk of experiencing a depressive episode than physicians further along in their careers.6,7 In anesthesiology residents across the United States, one study identified 298 out of 1,384 (21%) were at risk for depression, and, of these, 23% reported suicidal ideation at least some of the time.8 It is unclear whether these data extend into later stages of careers in anesthesia, since there are few studies on depression and suicidal ideation in the specialty as a whole. Furthermore, it is unclear whether this risk for Certified Registered Nurse Anesthetists and Anesthesiologist Assistants is elevated, since studies of depression and the risk of suicide among nonphysician anesthesia providers are lacking. Nevertheless, it is likely that all anesthesia professionals can be affected by this pervasive issue. In contrast, the elevated risk of substance abuse has been documented so extensively in anesthesiology that some consider it an occupational hazard. In general, substance abuse makes suicide more likely, and appears as a risk factor in a common screening tool to identify patients at risk for suicide (Table 1).9 A key factor that increases anesthesiologists’ risk of substance abuse is ease of access to addictive medications.10 Drug handling policies, such as electronic dispensing systems, screening of waste syringes, and lock boxes, have been employed in order to counteract the diversion of these medications for abuse. Despite these efforts, the known incidence of substance abuse remains at roughly 1.6 % of anesthesiology residents and 1.0% of attending faculty.10,11 Striving to reduce the incidence of substance abuse is critical to reducing the burden of suicide in the field of anesthesiology. While regulations may thwart attempts to obtain addictive substances, other factors such as job stress, work hours, and professional burnout may also be influencing the relationship between anesthesia professionals and substance abuse. Burnout, a state of mental fatigue and reduced sense of personal accomplishment, and factors leading to its development have become hot topics in the discussion of physician mental health.12 This year, the Medscape National Physician Burnout and Depression Report found that 42% of 15,543 physicians reported burnout.13 Critical care and neurology reported the highest prevalence (48%), while the lowest was reported by plastic surgery, dermatology, and pathology (32%). Prevalence of burnout in anesthesiology was 38% (anesthesiologists represented 6% of all respondents). This same Medscape Report found that 14% of respondents reported both depression and burnout. Although burnout does not necessarily precede depression, a link may exist given the similarity in their symptoms. Early medical trainees consistently report the highest rates of burnout, and the field of anesthesiology is no exception. Among anesthesiology residents, burnout was associated with deviation from best practices in anesthesiology, suggesting that burnout could harm patients in the form of increased rates of medical errors.8 Furthermore, residents at high risk for depression or burnout demonstrated a higher weekly alcohol consumption and were more likely to abuse tobacco than residents without burnout or depression.8 Considering anesthesiologists’ record with substance abuse, such links should raise a red flag to leaders in anesthesiology and warrant further research on burnout and its role in substance abuse. Meaningful improvements in reducing physician suicide rates will require interventions that target the problem at multiple levels. Efforts to educate physicians on warning signs and risk factors should be enhanced and resources should be made readily available so that doctors in distress, or their colleagues, have the means to get help when it’s needed most. The American Society of Anesthesiologists (ASA) has taken vital steps after learning that anesthesiologists are the group of physicians most likely to die by suicide. The resource tab on the ASA’s website includes a section on suicide prevention resources with direct access to hotlines for those in acute need as well as information on signs, prevention, and education about physician suicide (Table 2). It should be emphasized that these resources will also aid a doctor who sees a colleague in distress but is unsure how to help. The ASA also has assembled an Ad Hoc Committee on Physician Well-Being to formulate ways to improve itself as a resource for anesthesiologists who are struggling with depression, substance abuse, and suicide. Furthermore, a panel dedicated to discussing prevention of suicide in anesthesiologists was added to the 2018 Annual ASA Meeting. Enhancing physician utilization of mental health services can be critical to saving lives. A list of services by state is available on the Federation of State Physician Health Program website (www.fsphp.org). While doctors may be reluctant to seek their own health care, the crux of the problem appears to be resistance to engagement in these programs because of licensure concerns. In one survey, most emergency medicine physicians believed that state agencies or treating physicians will share confidential information with licensing authorities.14 Additionally, a survey by the American College of Surgeons found that 60% of surgeons with suicidal ideation felt reluctant to seek medical care in fear of jeopardizing their medical licenses.15 In order to combat this barrier in seeking care, many states have regulations allowing physicians to forgo reporting treatment for mental illness on licensure questionnaires, as long as they are compliant with medical care.1 Confidentiality and protection will be central to improving physician engagement in their own mental health treatment. Another possibility is that physicians find it challenging to access mental health care due to the time constraints of their clinical duties. Planning leave from work may imperil a doctor’s contract, require communicating openly with administration, or pose practical concerns such as loss of income and explaining leave from work to colleagues and family. Health care providers should not only care for patients, but also for their colleagues and themselves. Prevention is the best form of treatment and accordingly primary prevention of physician suicide should take aim at remolding medicine’s culture to place greater emphasis on physician well-being. This will require concerted efforts by medical schools to develop self-awareness among the next generation of doctors and to actively demonstrate self care and teach such practices to their trainees. More immediate solutions might begin with a recognition among health care leaders of the need for benefit packages with built-in time for days off without financial penalty, leave for self-care, or improved access to mental health services by bringing mental health providers into clinics and hospitals to reduce barriers to utilization. For any healthcare professional to die by suicide, multiple stressors must converge and weigh on the mind until the load seems unbearable. If the arc of medical professional suicide is to be bent towards a brighter horizon, real improvements in prevention and treatment utilization must be made. Dr. Huang is program director of HCA Anesthesiology Residency at Oak Hill Hospital, program director of HCA Transitional Year Residency at Oak Hill Hospital, and professor at the University of Central Florida College of Medicine. He serves on the APSF Committee on Education and Training and on the ASA Committee on International Collaboration. Anthony Brenner, BS, is a third-year medical student at the University of Central Florida College of Medicine. The authors do not have any disclosures to report. Louise B Andrew BEB. Physician suicide. 2018; https://emedicine.medscape.com/article/806779-overview#showall. Accessed September 10, 2018. Schernhammer ES, Colditz GA. Suicide rates among physicians: a quantitative and gender assessment (meta-analysis). Am J Psychiatry. 2004;161:2295–2302. Wible P. Keynote: 33 orthopadeic surgeon suicides. How to Prevent #34. 2018; http://www.pamelawible.com/keynote-33-orthopaedic-surgeon-suicides-how-to-prevent-34/. Accessed September 15, 2018. Center C, Davis M, Detre T, et al. Confronting depression and suicide in physicians: a consensus statement. JAMA. 2003;289:3161–3166. Hawton K, Malmberg A, Simkin S. Suicide in doctors. A psychological autopsy study. J Psychosom Res. 2004;57:1–4. Dyrbye LN, Thomas MR, Shanafelt TD. Systematic review of depression, anxiety, and other indicators of psychological distress among U.S. and Canadian medical students. Acad Med. 2006;81:354–373. Goebert D, Thompson D, Takeshita J, et al. Depressive symptoms in medical students and residents: a multischool study. Acad Med. 2009;84:236–241. de Oliveira GS, Jr., Chang R, Fitzgerald PC, et al. The prevalence of burnout and depression and their association with adherence to safety and practice standards: a survey of United States anesthesiology trainees. Anesth Analg. 2013;117:182–193. Latha G, Matthew K, Sean B. First aid for the psychiatry clerkship. Fourth edition. McGraw-Hill Education; 2016. Tetzlaff JE. Drug diversion, chemical dependence, and anesthesiology. Advances in Anesthesia. 2011;29:113–127. Booth JV, Grossman D, Moore J, et al. Substance abuse among physicians: a survey of academic anesthesiology programs. Anesth Analg. 2002;95:1024–1030. Lacy BE, Chan JL. Physician burnout: the hidden health care crisis. Clin Gastroenterol Hepatol. 2018;16:311–317. Peckham C. Medscape national physician burnout & depression report 2018. 2018; https://www.medscape.com/slideshow/2018-lifestyle-burnout-depression-6009235. Accessed September 15, 2018. Andrew LB. Survey Says: Many EPs suffer in silence. 2006; http://epmonthly.com/article/survey-says-many-eps-suffer-in-silence/. Accessed September 9, 2018. Shanafelt TD, Balch CM, Dyrbye L, et al. Special report: suicidal ideation among American surgeons. Arch Surg. 2011;146:54–62.